This 16-week plan gradually builds to 25 miles (40 km)/week with 3 runs/week. 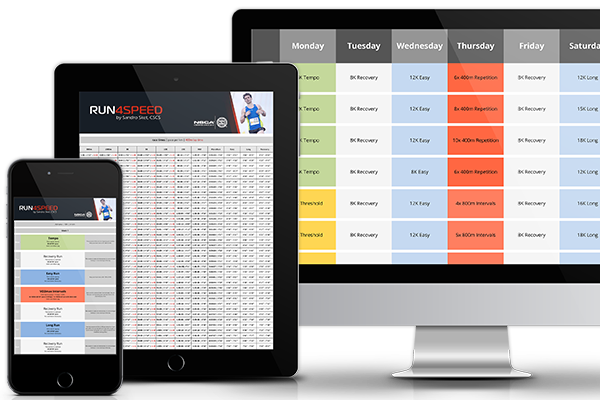 It includes easy runs, long runs, and tempo/threshold runs. The long run starts at 6 miles (10 km) and peaks at 15 miles (24 km) in week 12. This plan is designed for relative beginners who can run 50min at an easy pace without stopping. 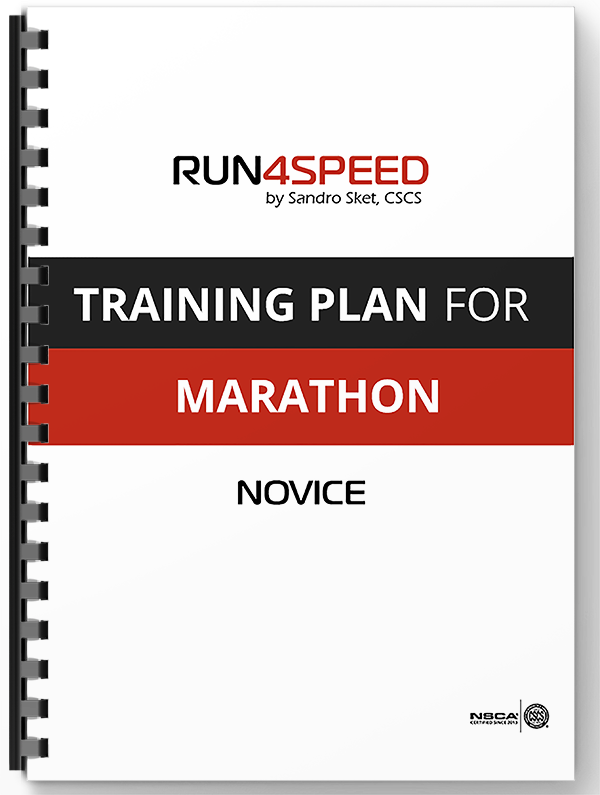 It prepares for a solid marathon race performance and is a stepping stone towards becoming an intermediate level runner.